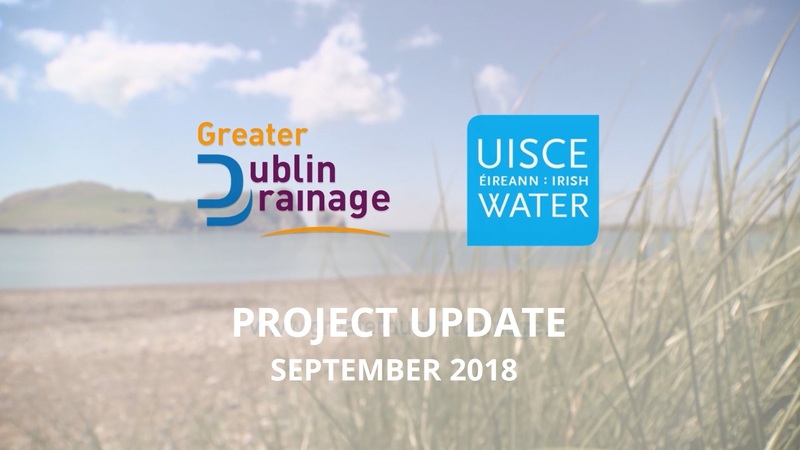 On 20th June 2018, Irish Water made a strategic infrastructure planning application for the Greater Dublin Drainage project to An Bord Pleanála. On 25th July, Irish Water notified An Bord Pleanála that it had discovered that a number of supporting appendices to the Environmental Impact Assessment Report were inadvertently omitted from the submitted documentation. The omitted information comprised a small number of supporting reports on the terrestrial and marine ground investigations and a number of previously published project reports for the site investigations stage of the Regional Biosolids Storage Facility project. Some drawings relating to landfill/quarry sites and road/rail/utilities crossings were also omitted. The omission of the supporting documents does not impact the findings and conclusions of the Environmental Impact Assessment Report. The data contained within the appendices had already informed the development of the main Environmental Impact Assessment Report. On 30th August, An Bord Pleanála notified Irish Water that it intends to hold an additional period of statutory consultation for the Greater Dublin Drainage Project. The consultation will take place from Thursday 13th September to Thursday 18th October inclusive. Irish Water will publish public notices in newspapers circulating in the project area next week and site notices will be erected along the route of the proposed project. Anyone who has made an observation/submission to An Bord Pleanála as part of the previous statutory consultation on the Greater Dublin Drainage project does not need to resubmit their observation/submission. All previous consultation submissions remain valid and will be considered by An Bord Pleanála. Anyone who has previously submitted an observation/submission and would like to make an additional observation/submission may do so directly to An Bord Pleanála at no additional cost. A further five week period for any objections to the compulsory purchase of lands and rights over land in connection with the Irish Water Compulsory Purchase (Greater Dublin Drainage Project) Order, 2018 and any submissions or observations as to the effects on the environment and/or on European Sites in relation to that project will take place from Wednesday, 12th September 2018 to Wednesday 17th October, 2018 (inclusive). Any objections or submissions may be made in writing to An Bord Pleanála, 64 Marlborough Street, Dublin 1, before 5.30pm on Wednesday 17th October, 2018.